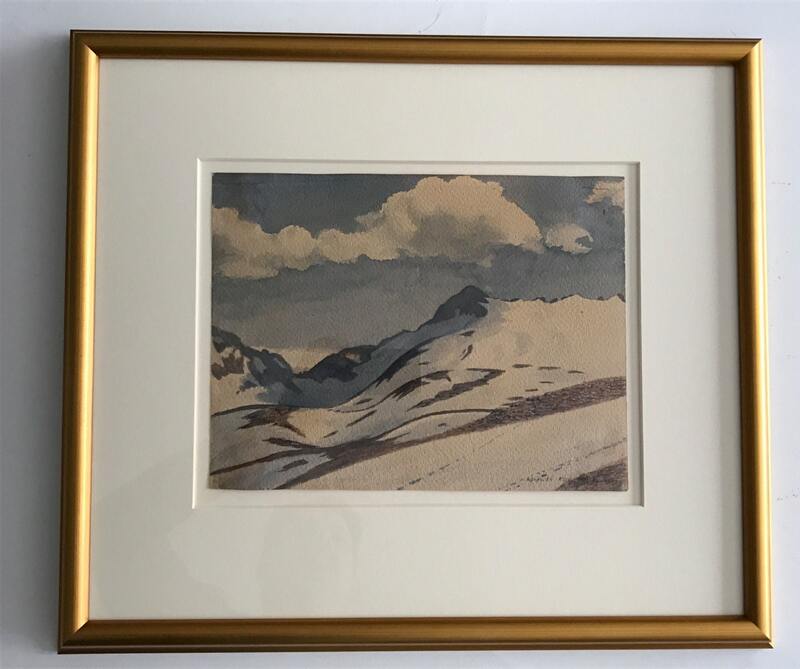 Offered here is an original painting by Rockwell Kent. 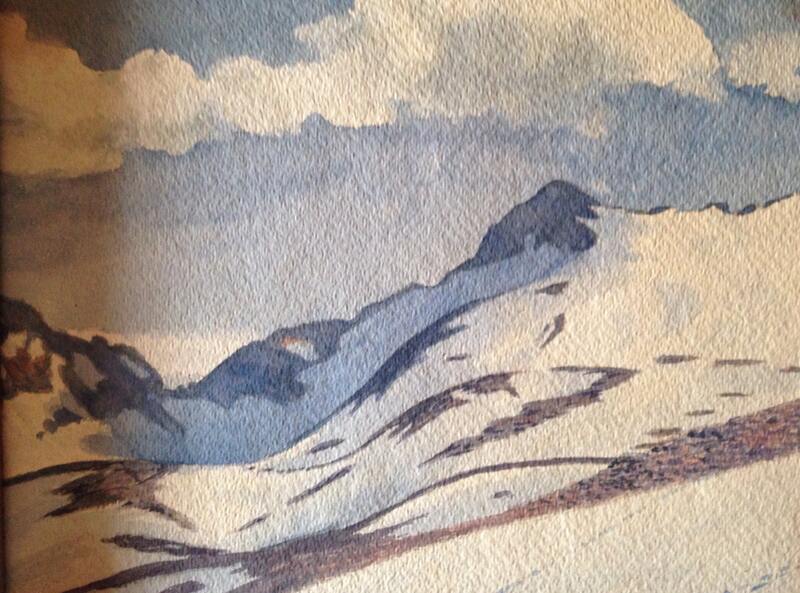 This piece was painted in Alaska during the his famous trip there with his son, Rocky, during the period of 1918-1919 when he stayed in a former goatherd's cabin on Fox Island near Seward. 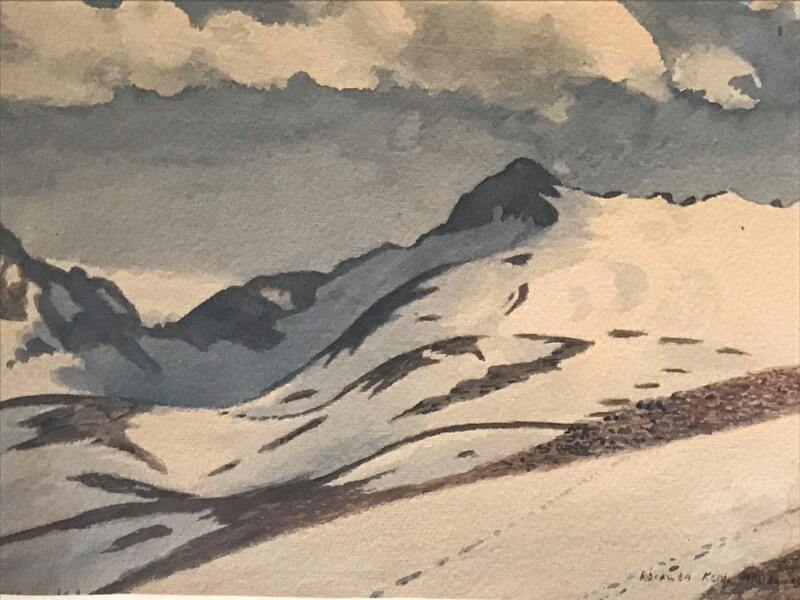 It was an epic journey and from it came a turning point in the career of this man who has come to be recognized as one of the most important artists of the American 20th century. 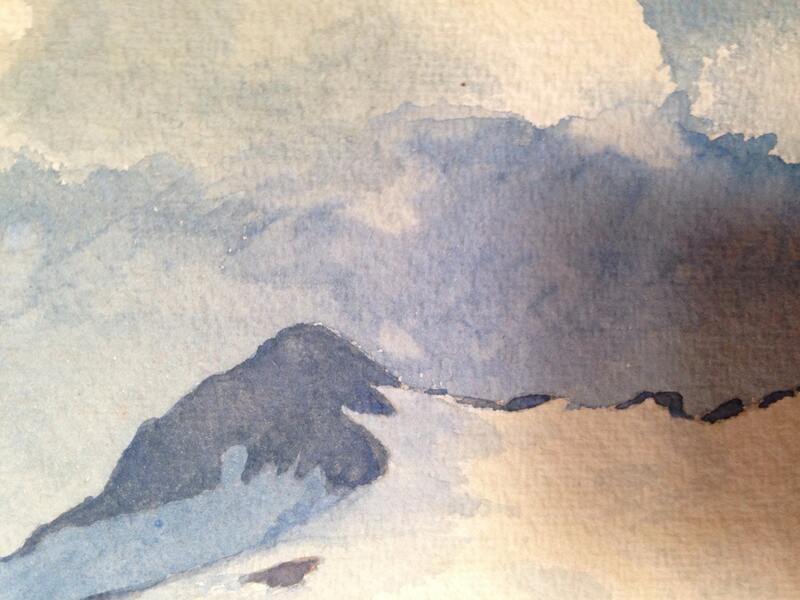 This piece is a classic Kent Alaskan landscape of the majestic peaks of the Kenai Peninsula. Two sets of footprints majestically disappear from the foreground into the hills. One can only speculate that these must surely belong to Rockwell and Rocky (his son). 9" x 11.75". 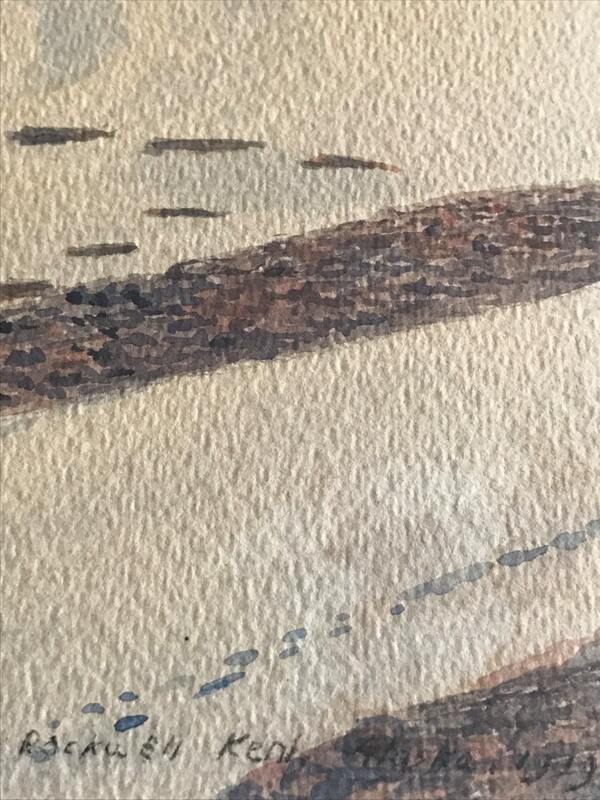 Condition is good with some slight discoloration caused by adhesive used by Kent in backing the painting. This adhesive has been removed and stabilized. Archivally framed with Japanese rice paper hinge mounts.